When I was in Cambodia a couple of months ago, I noticed two things: the country wears its dark past on its sleeve, and there's an incredible array of ways to help. So many ways, in fact, that I wondered if it would be possible to NGO-hop across the country, helping as any tourist might just by visiting certain shops, restaurants and such. That became the guiding principle for my 10-day trip there, and it made me love Cambodia even more than I already did. Behind the welcoming smiles of the Cambodians you meet there, however, it's impossible to ignore the signs that all is still not well. You see people with limbs stolen by landmines. Anyone over about 40 - a tuk-tuk driver, a vendor at Phnom Penh's Russian Market - remembers the Khmer Rouge's brutal regime (1975-1979). There is widespread poverty, child abuse and HIV infection (Cambodia has the highest incidence of HIV in south-east Asia). Then there are places such as the Killing Fields, just outside Phnom Penh, that break your heart and inspire you to help in some way. Read the full story here. I've also just finished reading Survival in the Killing Fields by Haing S. Ngor, the Cambodian doctor who lived through the Khmer Rouge years, just, before being forced to flee over the border to Thailand with hundreds of thousands of other Cambodian refugees. 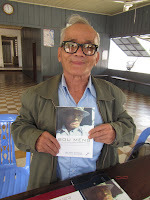 It's a compelling book, beautifully co-written by journalist and historian Roger Warner, and has been called "the best book on Cambodia that has ever been published". If you haven't yet been to Cambodia, go. 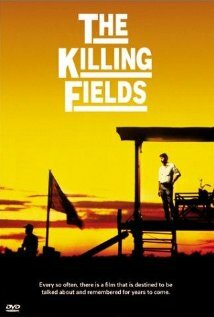 And before you do, see The Killing Fields and read Ngor's book. It'll give you a greater understanding of this beautiful little country and the humanity of its people. You can learn more about Dr Ngor through the Dr Haing S. Ngor Foundation website. Have you been to Cambodia? How did it affect you?